After spooky posters and mysterious teaser, makers of Tumbbad have finally unveiled the spine-tingling trailer. Mumbai: After treating the audience with spooky posters and a mysterious teaser, the makers of 'Tumbbad' have finally unveiled the spine-tingling trailer. Combining fantasy, action, and horror, 'Tumbbad' promises a thrilling rollercoaster ride that questions the roots of human greed while providing entertainment of the purest kind. It gives a glimpse of a mysterious place called Tumbbad and the puzzle that revolves around it. 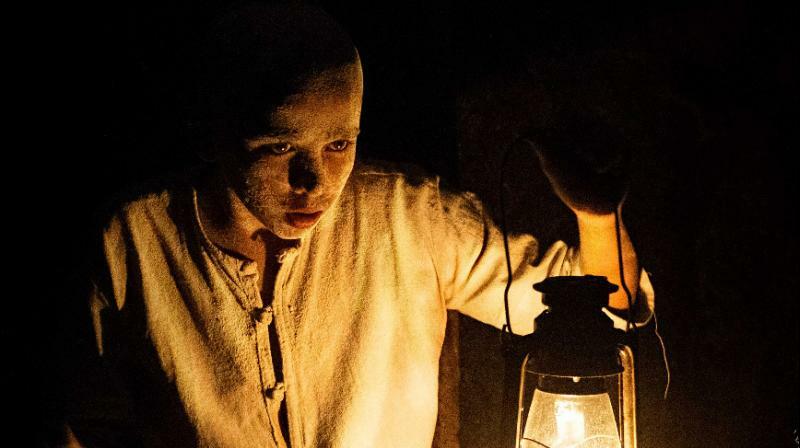 With the haunting visuals and a set up that showcases an intense horror thriller, 'Tumbbad' holds a mayhem to the treasure that is protected by a spirit. The intriguing trailer showcases the mythological tale that forms the backbone of this horror film. Touted to be a visually stunning film, 'Tumbbad' has been receiving accolades even before its release. The ambitious project has been a six-long-year journey for actor Sohum Shah, while producer Aanand L Rai describes the film as a genre-defining one. It was the first ever Indian film to open the prestigious Venice International Film Festival Critic's week in July, sweeping in major accolades from critics. Tumbbad is set to release on October 12 in four languages- Hindi, Marathi, Tamil, and Telegu.